1200: This brings an end to our live updates. 1144: The Pumula constituency went to Zanu-PFs Cde Godfrey Malaba who got 2 477. The candidate with the second highest number of votes was Bathandi Mpofu of Zapu who got 777. In the Lobengula constituency Cde Maidei Mpala of Zanu-PF garnered 1 976 votes. Casper Sibanda of Zapu had 492. Cde Thandoyenkosi Mlilo of Zanu-PF won the Luveve seat by 1765 votes. Amon Nyamabvi Dube had 562 votes. The Pelandaba-Mpopoma Constituency was also won by a Zanu-PF candidate Cde Joseph Chuma who got 2050 voters. 1110: In Headlands, Cde Chingosho had 11 104 votes against his rivals, Mr David Mukunda of the NCA (117 votes) and an independent candidate, Mr Albert Mukaratirwa who had 897 votes. 0900: In Dzivarasekwa Cde Omega Hungwe (Zanu-PF) got 3 116, Cosmas Benjamin (PDZ) 38, Ngonidzashe Chandiwana (TZ) 178, Happison Chikova (ADP) 44, Tonderai Karimakwenda (Independent) 239, Washington Measure (DARE) 16, Enock Mafigu (MKD) 31, Peter Mukuchamano (NCA) 28, Saul Tore (Independent) 253. There were 138 rejected votes. 0842: In Hurungwe West, Cde Keith Guzah of Zanu-PF has won by 5 961 votes against Temba Mliswa’s (Independent) 4 239. 0826: Zanu PF Tsholotsho North candidate Professor Jonathan Moyo has romped to victory polling 11695 votes beating Getrude Sibanda (Independent) who got 38 votes and Busani Ncube who polled 91 votes. The seat was last held by Cain Mathema before it was split into two constituencies – Tsholotsho North and South. 0824: In Kuwadzana Cde Betty Nhambu of Zanu-PF got 3 480, Ephraim Muza (DARE) 38, Peter Svinurai (Free Zim Congress) 142, Grant Tabvurei (NCA) 46, Michael Mandikonza (Freedom Front Party) 10, Joelson Mugari (African Democratic Part) 29, Endai Mugomeza (Independent) 222, Simon Musandu (Transform Zimbabwe) 26, Boniface Gwishiri (Independent) 113, Joseph Chimbawanga (Progressive Democrats of Zimbabwe) 30, Gemellah Chuma (PIMZ) 41 and Milton Mukuwa (Mavambo Kusile Dawn) 32. 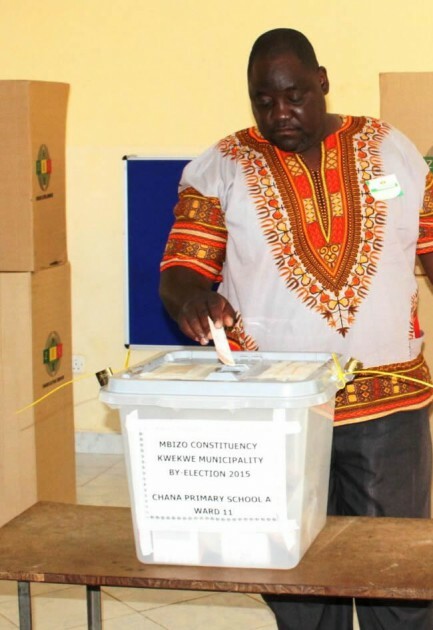 0822: Zanu PF’s Cde Esau Fungai Mupfumi romped to victory in the Dangamvura-Chikanga constituency by-election after amassing 6 376 votes ahead of Mr Chengetai Richard Kadzere (Independent), who polled 1 092 votes. Mr Kuziva Maundike (Independent) had 707 votes while Pfugamai Mawire got 254 votes. 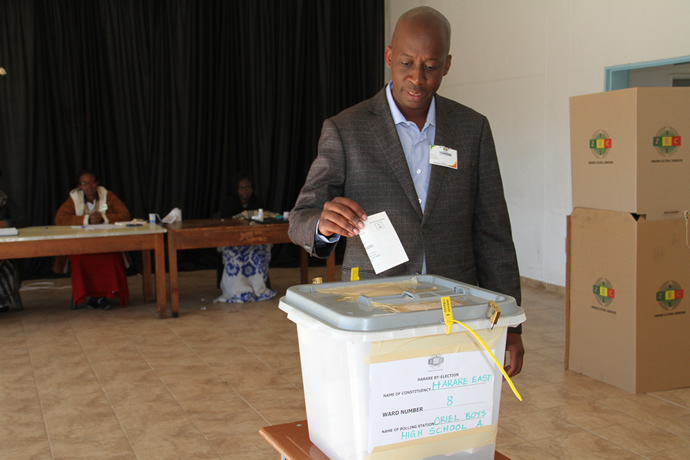 Mr James Mundenda (Independent) garnered 144 votes. Mr Ruramayi Musiiwa (NCA) got 1 003 votes while Mr Piwai Gashirai (Freedom Party) had 125 votes. Maxwell Teedzai of Transform Zimbabwe party amassed 32 votes. (independent) 51, Pedzisayi Nheta (independent) 158, Taungana Madhino (independent) 65, Tendai Morris Makoni (independent) 153. 0700: Zanu-PF PF’s Cde Terence Mukupe has won the Harare East parliamentary by-election with a massive 4 605 out of the total 5 618 votes cast. Cde Mukupe beat Mr Dore Dale of Transform Zimbabwe who got 681 votes followed by Mr Kuveya Farai (Independent) who polled 135 votes and Mr Misheck Zacharia Mushawatu who got 115 votes. The total number of rejected votes 115. The constituency had three wards. In ward 8 Mr Dale of Transform Zimbabwe polled 83 votes, Mr Kuveya 22 votes, Cde Mukupe 525, Dale of Transform Zimbabwe polled 83 votes, Mr Kuveya 22 votes, while Mr Mushavatu had 24 with 9 spoiled ballot papers. In ward 9, Cde Mukupe had 3 295 votes followed by Mr Dale (83), Mushawatu (42) and Kuveya (22) with 97 spoiled ballot papers. In ward 46 Cde Mukupe had 785 votes, Dale (208), Kuveya (20) and Mushwatu (17) with 9 ballot papers being rejected. Speaking soon after the announcement of the votes, an elated Cde Mukupe said he would work towards fulfilling his election promises and thanked the people of Harare East for their massive expression of confidence in Zanu-PF. 0634: Counting of votes continued through out the night with contesting candidates literally having a vigil at the Harare East command centre at Oriel Boys High School in Chisipite. 0549: Psychology Maziwisa has been declared winner for the Highfield West Constituency with 2 254 votes. Independent candidate Emmanuel Dzumbunu 230 votes. Kudakwashe Makuwe (TZ) polled 146 votes. Brian Shamu (Dare) 56 votes. Pswarayi Tashinga (independent) 52 votes. Kudzai Saruwaka (Mavambo) 48 votes. Onita Muchena (PMZ) 29 votes. Godfrey Jena (PDZ) 27 votes. Shadreck Nyanganya (FFP) 10 votes. Rejected votes–65. 2206: Voting closed at 7pm at the 35 polling stations in Hurungwe West with counting starting soon afterwards. Results are expected later tonight. Results from remote areas of Rengwe and Chingurunguru polling stations are expected to come in much later. Officer commanding Mashonaland West Senior Assistant Commissioner Rangarirai Mushaurwa said there were no major incidences. “We’ve had reports of disturbances from both sides but some of them occurred outside the 300metre radius,” she said. She said the reports received were of people displaying or wearing campaign material near a polling station. Officials from the Australian, Canadian and United States embassies observed the elections. 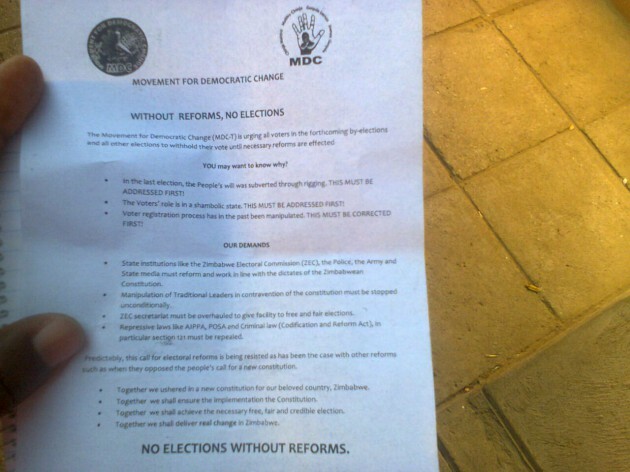 They declined to comment on their observations saying they will put them in writing to ZEC. 2130: At Rusvingo school polling station in Highfield West Zanu-PF’s Cde Maziwisa polled 57 out of 64 votes. 2057: Vote counting has ended at Kwayedza High School polling in Highfield West with Zanu-PF’s Cde Psychology Maziwisa getting 194 of the 248 ballots cast. 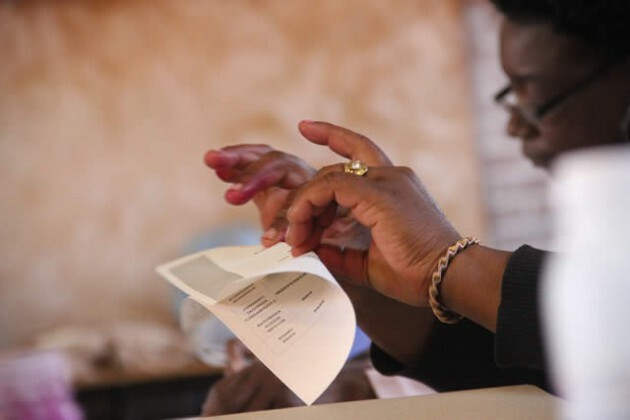 2000: Voting ended as scheduled at all the polling stations in Kambuzuma with constituency elections officer Mr Koti Exstaff saying the presiding officers were now verifying the ballots. He declined to disclose the number of people who have voted in all the 22 polling stations. 1935: Voting has closed in Headlands with no reports of any polling station having requested an extension. 1931: Voting has ended in Harare East and confirmation of the voting process to election observers and agents has started . Thereafter the counting of the actual votes will begins. 1755: Dzivarasekwa constituency elections officer Mr Collins Muchenjekwa said as at 4pm 6 075 people had cast their ballots. There are 24 polling stations. There is, however, poor lighting at Yamurai polling station and officials have moved in and are providing candles to the centre. 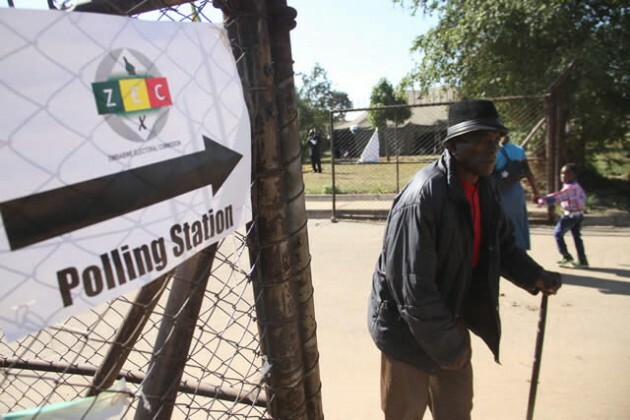 1754: There is a slight increase of voters in Kuwadzana and constituency elections officer Mr Gabriel Kadondo said there were a few “anomalies” which were reported in the constituency but ZEC officials and police officers were equal to the task. He didn’t disclose the “anomalies”. 1748: Communication challenges haunt some polling stations in Hurungwe West constituency due to network problems. 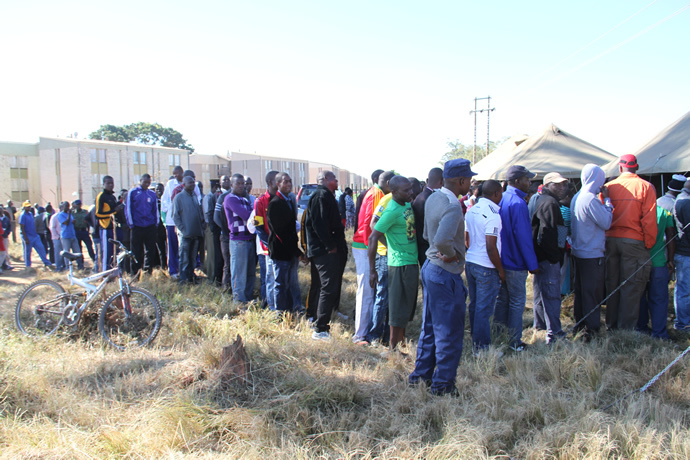 Polling stations in ward 24 were struggling to link up with their superiors to give them updates on polling process. Some of those effected were Fuleche and Chiroto. 1637: Voter turnout in Highfield West is very low as only 2 000 had voted by 2pm. The constituency has 16 000 registered voters. 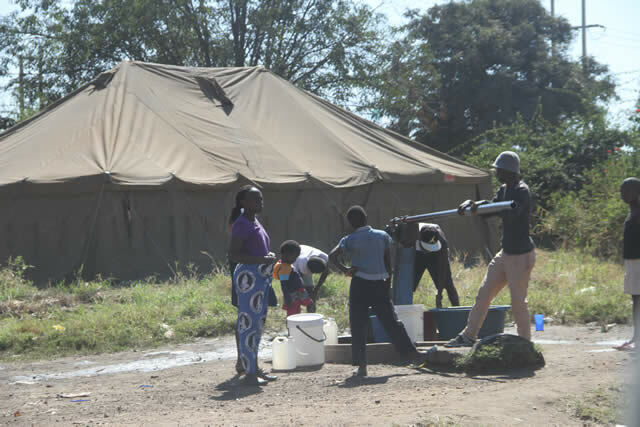 Highfield West chief elections officer Dr Sylvester Dandure said he hoped the figure will rise when workers finish work. 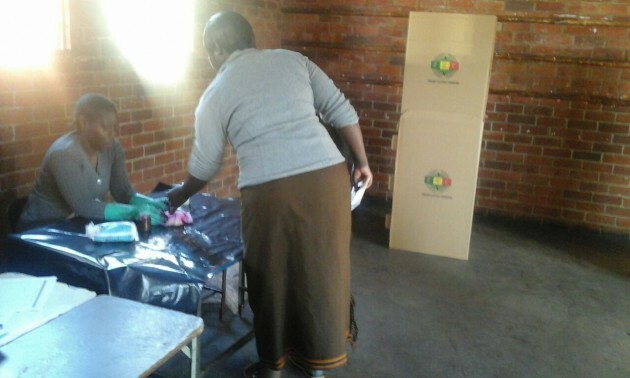 1559: Provincial elections officer Dorcas Mpofu said there were 20 polling stations in 6 wards in Mbizo constituency. She added that voting was progressing well. 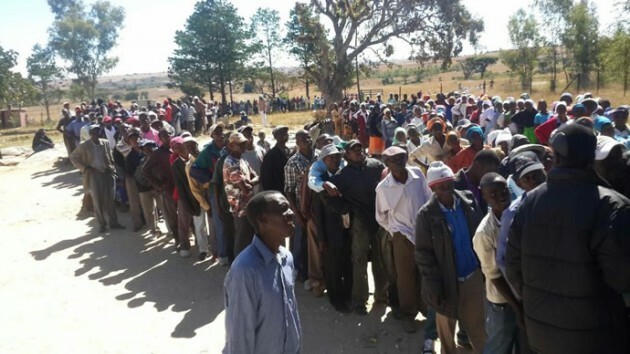 1535: Voting is progressing peacefully at polling stations in Hurungwe with at least 541 people having cast their ballot at Chivakanenyama Primary School by 1:30pm. At least 72 voters had been turned away for reasons ranging from not appearing on the voters roll and lack of identity particulars. 1414: Voting is going on smoothly in Tsholotsho North constituency. Polling stations opened at 7am. Zanu-PF candidate Professor Jonathan Moyo cast his vote at Mlevu Primary School at 8am. Speaking to Journalists soon after voting, Professor Moyo said he was excited about the by-elections saying he felt liberated from the disaster of the 2013 harmonised elections. “The constituency is returning back to the party for the first time since the death of Vice President Joshua Mqabuko Nkomo,” he said. 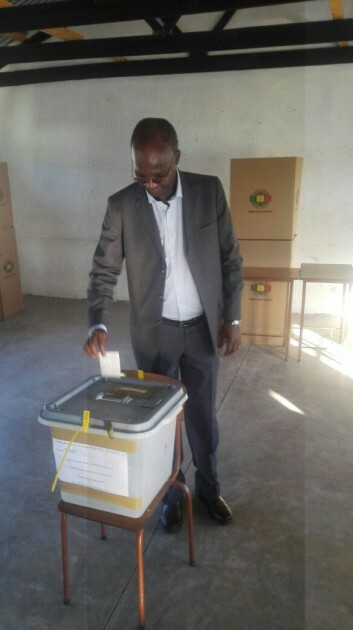 Professor Moyo casts his ballot at Mlevu Primary School polling station. 1330: At Rusununguko polling station in Mbizo constituency voters have turned out in numbers to beat the lunch hour break so that they cast their vote. A peaceful atmosphere is prevailing throughout Mbizo constituency. 1326: Zanu-PF candidate for Makokoba constituency Rtd Col Tshinga Dube has cast his vote at Efusini polling station at Makokoba shopping centre. He said he is confident of victory and ruled out voter apathy saying it’s too early to conclude as most voters preferred the last minute rush. Voters wait to cast their ballots at Nehumba Primary School in Headlands. 1313: In Headlands Nehumba Primary School in Ward 34 has been overwhelmed by prospective voters. More than 500 voters are queuing to cast their ballots and many are still trooping in. ZEC is struggling to cope, their pace is sluggish with three voting booths only. ZEC officials have appealed for police reinforcement to control the crowd. 1302: In Harare East the lowest turnout so far has been at Balantyne Park shopping centre were 15 voters had cast their ballots by 12 noon. An elderly man leaves a polling station in Glenview. 1252: At least 186 people had voted by noon at Fuleche Primary School in Hurungwe West. 16 people had been assisted due to illiteracy while 30 had been turned away. the reasons included not being on the voters roll and lack of identification particulars. 1248: Voting started on a low note in Makokoba constituency with polling officers at various polling stations seen basking in the morning sunshine. Polling stations are virtually deserted in Bulawayo’s Pumula constituency. Turnout is expected to pick up as the day progresses. Voters wait to vote at Highlands Primary School. 1242: Kambuzuma Independent candidate Taungana Madhina says he is satisfied with the proceedings but his only concern is the low voter turn out. Zanu-PF candidate Cde Tinashe Maduza is optimistic the numbers of people voting will increase at the end of the day when most people are back from work adding that nothing will stop him from winning the seat. 1222: Zanu-PF national commissar Cde Saviour Kasukuwere is moving around meeting party candidates. He has just been to Kambuzuma constituency and is on his way to glen view and Highfield. He is confident Zanu-PF will romp to victory. Harare East Candidate Terrence Mukupe casting his vote at Oriel Boys High School. 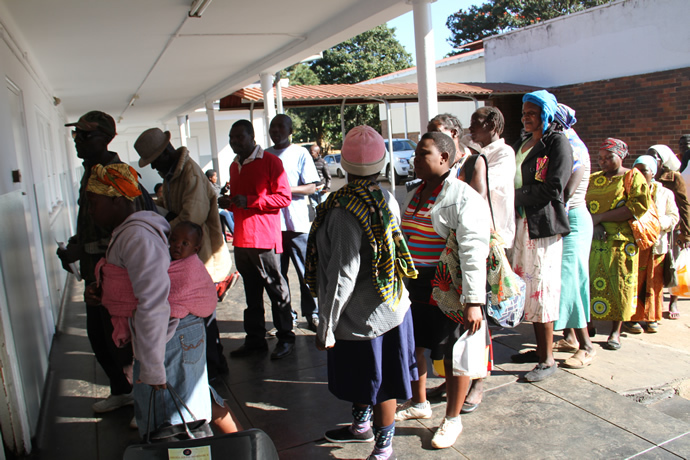 1220: Voting started well in Dangamvura-Chikanga constituency in Mutare with all polling stations having opened doors for voting by 7am. At Ward 18’s Muonde Bridge polling station, 182 had voted by 9:35am. At Chirowakamwe Primary School polling station B, 59 people had voted by 10am. At Sheni Primary School polling station A in Ward 6, 74 people had cast their vote by 11am while 26 had been turned away at the same polling station. One person was assisted to vote. 1206: In Harare East the highest turn out so far is at Pangula-Acturus at Chikurubi where more than 500 people had cast votes by 10am with 20 people having been turned away. Zanu PF candidate for Mbizo consituency Cde Vongaishe Mupereri casts his ballot at Chana Primary School polling station. 1202: Voting is going on peacefully at most polling stations in the Lobengula and Pelandaba-Mpopondaba constituencies by 11:30am. The polling stations were open by 7am. However, there was poor voter turnout at most stations. There were no queues at all polling stations visited save for Imiyela hall polling station under Pelandaba-Mpopoma cosntituency which had a long queue inside. At Mpumelelo Primary School polling station, as at 8am, voters were trickling. Only 8 people had cast their vote while 3 had been turned away, for either not appearing on the voters roll while two had come to the wrong constituency. 1154: Voting in Harare East started on a peaceful note with ZANU PF candidate Cde Teremce Mukupe casting his vote at Oriel Boys High School in Chisipite around 9:30am. 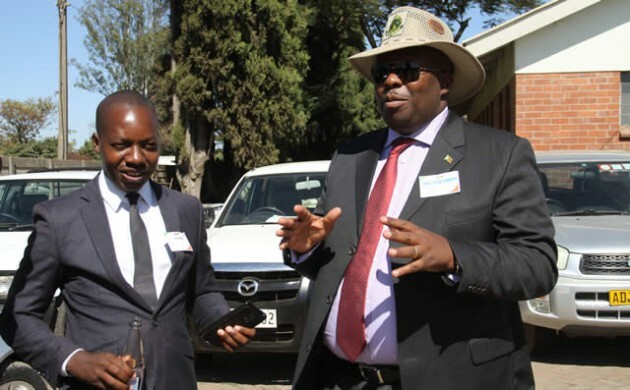 Mukupe expressed confidence that the ruling party will wrestle back the seat previously held by MDC Renewal leader Tendai Biti. Six people had been turned away at 9am at Highlands Junior School for intending to vote at the wrong ward. Only 20 people had cast votes by 900 am. 1132: At Glen View 1 shopping centre tent 129 people had voted and 29 had been turned away by 11:15am. Voters in a queue at Chikurubi. 1124: In Kambuzuma, Zanu-PF has election agents at every polling station while other independent candidates do not have representation. 1108: Voting started on very sluggish pace at several polling stations visited in Headlands with an average of 50 people per station by 10am. A significant number of prospective voters have been turned away for turning up at wrong wards. Headlands constituency has eight wards and 48 polling stations. 1047: In Bulawayo’s Pumula constituency , voting has started on a low note. 3 hours after opening, 10 polling stations visited have average 30 voters. Some Highfield West constituency residents draw water next to a polling station. 1045: Voting started well in Hurungwe West. At least 102 people had voted at Chiroti Primary School by 9am. 19 people had been assisted to vote mainly because of old age while 15 had been turned away because their names were not on the voters roll. 1037: At Chana Primary School where there are 2 polling stations, there are many voters waiting for their turn. Information at hand is that 113 people have voted as at 1015am. Seven have been turned away for various reasons. 1032: In Kuwadzana at Kuwadzana 8 Primary School 85 people had voted by 9:30am while 14 were turned away. The candidates are are Michael Mandikonza of Freedom Front, Peter Svinurai (Free Zimbabwe Congress), Milton Makuwa (Mavambo), Takudzwa Tabvurai (NCA), Josam Chimbalanga (Progressive Democrats of Zimbabwe), Jemelia Chuma (Progressive and Innovative Movement of Zimbabwe), Simon Msandu (Transform Zimbabwe), Betty Nhambu (Zanu-PF) Boniface Gwishiri (Independent) and Zanondega Mugomeza (Independent). 1019: At Glen View Satellite Clinic, 40 people had voted by 10am while 6 had been turned away for non-appearance in the voters roll and invalid passports. 0938: In Highfield the MDC distributed flyers urging people not to vote. Some were thrown near Highfield polling stations overnight. A voter prepares to cast her ballot in Dzivaresekwa today. 0928: By 9:20am at Rukudzo Government Primary School 100 people had cast their ballots with only one person being assisted. At Wadzanai primary school 33 people had voted by 9am and only three people had been turned away for not being on the voters roll. 0911: Voting started peacefully in Highfield West with people thronging polling stations to cast their vote. By 9:05am at Canaan Bus Terminus polling station 101 had successfully voted while 13 were turned away. 0842: Voting has started well in Dzivarasekwa constituency and 46 people had voted by 8:30am this morning.